It’s New Years! Now I know we all expect new things for the future, but sometimes is alright to take a peak back and look at those things that feels nostalgic. I present to look back at Brave! I think it’s great to start it off with this. Disney has once again hit our emotions in the feels. A great film is one with a story well thought. 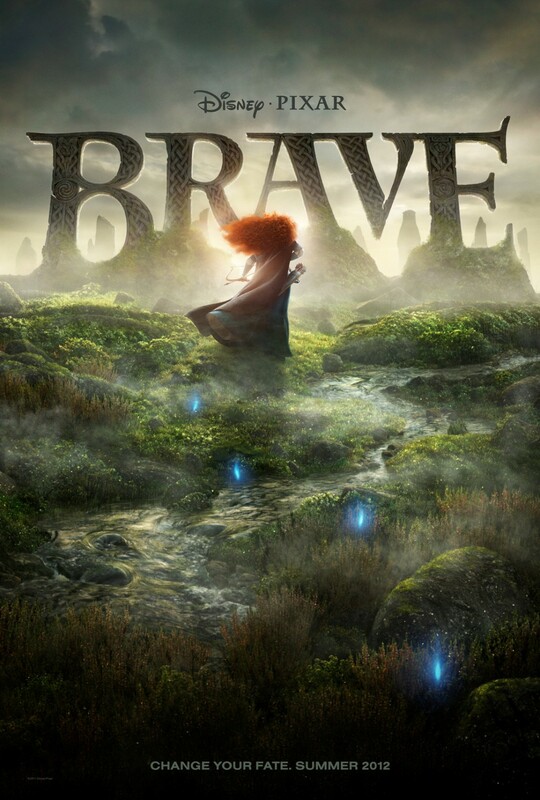 Brave have totally portrayed tradition, change and the one thing that wouldn’t be complete without it- love. A different kind of romance, but nevertheless, it’s still the same. Being a girl isn’t as easy as everyone thought isn’t it? Let alone a princess, and that’s how the story of Merida started. Being a boyish girl who does parkour, martial arts and other “boyish” things, I can really relate with how she feels not being able to do what her Mum didn’t want. As parents, yes, they do everything they can to give their children things they don’t have when it was their time to make us happy out of love. But sometimes, misunderstanding, how we deliver what we need to say and lack of understanding can lead to a destruction between the bond. Just like how during the betrothal, the scenes between Merida and Elinor intercuts each other when they were saying about how they feel towards the situation and hoping that each of them will listen. During the betrothal after the fight, the tension doesn’t end there. The first born child of each clan have to show their strength to fight for the princess. Being angry and upset, Merida took the courage to fight for her herself in archery. As we all know, being a queen or a princess, it’s expected for them not to fight or go to war. Of course the queen was unbelievably angry when she loose her last bow and defeat the every prince who fought to win her hand in marriage, which leads to more tension, vengeance to get back at each other and pride about who’s right. When Merida ran off the castle after the fight she had with Elinor, she was lead to a Wood Carver’s cottage by a wisp. The wisp was introduced as a blue magical thing that leads to your fate. Later, she found out that wood carver was a witch and Merida bought a spell to change her. What she doesn’t know was what the spell can change her Mum into. Eventually, Elinor turned into a bear. From this scene forward, the story was written in a way to shut Elinor up and finally listen to what she actually wanted to say but didn’t get to through her actions. Somewhere in the forest, when they were re-building their bond, they found out that the spell will be permanent by the next sunrise which can only be reversed with a note the witch left her before leaving her cottage. The story get redirected back to the tapestry when they found out the ruins of the Lost Kingdom in one of the princes legends Elinor told Merida. The spell has been done before when one of the princes wanted strength of ten men but turned into a bear the kingdom named, Mor’du which was fought of by Merida’s dad, Fergus, before at the cost of his leg. Immediately, the story was redirected back to the tapestry which Merida tore before storming out of the castle after the fight with Elinor. She believes that the spell will be reversed if she fix back the tapestry. Merida and Elinor, in her bear form managed to sneak into the castle but the clans were in the verge of war. Merida learned the responsibility she have with her mother and and break their tradition by letting their prince to marry whoever they want instead, indirectly with the help of Elinor. Unfortunately, they couldn’t get out of the castle smoothly when one of the maids accidentally saw them, and Fergus chased them down with the rest of the clan. He locked Merida up in her room, but she managed to get out with the help of her three little triplets brother who also turned into a bear. When Merida got out of the castle, Elinor was already captured and almost killed by Fergus. When she came to her mum’s rescue on time, Mor’du appears and created a havoc. All of the humans are un-defeatable for Mor’du. It was bear fight between Elinor and Mor’du. He was defeated when one a huge rock breaks and fell upon him. Fergus finally believe the madness when Merida shouted “boys” to the three little bears. The fight end just in time for sunrise when Merida finally get to put on the tapestry on Elinor. I guess, it was too late for her that her mum has already turned into a full bear… NOT. Okay, the tapestry didn’t work, but their bonds are really amend and all the bears turned human again. In the end, Merida didn’t marry all of the prince and the clans decided that their son take their own time at love. Why is Brave my nicest choice to start twenty fifteen? Above everything else that happened, the whole story is about fate and destiny. Everyone have their own perspective towards fate and destiny. Everyone live by their own philosophies about fate and destiny. But Brave is meant to teach us that we can still get what we really want if we’re not afraid of change if everything doesn’t work out. Everyone is born different. It can feel uncomfortable, but you have no idea what great things it can also bring you to if you don’t get out of your comfort zone.